Envision is the first step in plastic sheet molding at Joslyn Manufacturing. You conceive the idea. Joslyn provides the thermoforming insights. And together, we develop an efficient, effective plan to turn your concept into a successful thermoformed plastic product. Explore all aspects of your ideal product. Communicate extensively with you, to ensure we’ve uncovered every detail and every requirement to factor into your thermoform solution. Recommend thermoform tooling, forming technologies and materials to enhance the nature of your product. 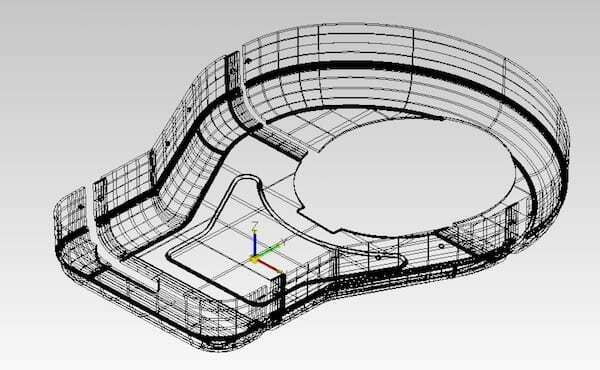 Collaborate with you on product design by using our in-house CAD capabilities. Send CAD files to us through our FTP site and our engineering team will review them and discuss any potential problem areas with you. If needed, we can even modify designs to prevent challenges before tooling begins. Discover the best way to bring your vision to life while accommodating your cost and time constraints. Not all thermoformed products are created equally. Joslyn has decades of experience and expertise to reverse engineer any plastic formed product and recommend ways to make it better. Have a product problem? We’ll help you envision a way to fix it with more effective thermoform processing or materials.